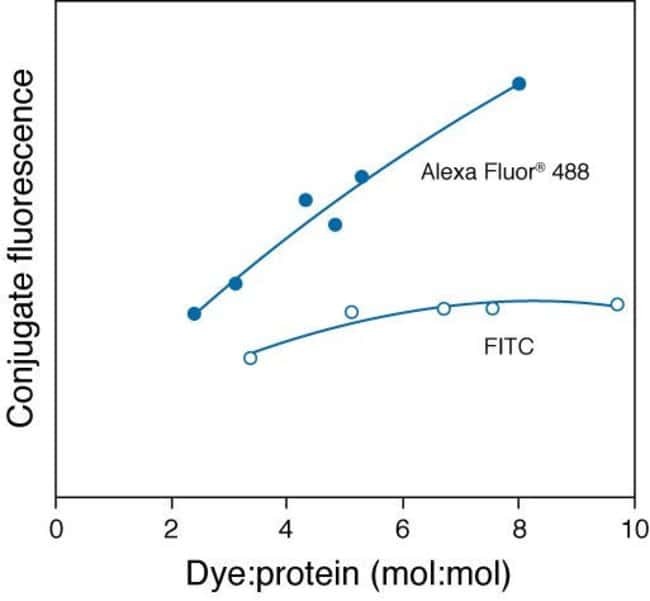 Alexa Fluor 546 dye molecules can be attached to proteins at high molar ratios without significant self-quenching, enabling brighter conjugates and more sensitive detection. 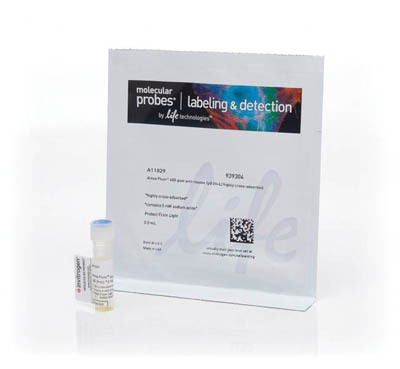 The degree of labeling for each conjugate is typically 2-8 fluorophore molecules per IgG molecule; the exact degree of labeling is indicated on the certificate of analysis for each product lot. Using conjugate solutions: Centrifuge the protein conjugate solution briefly in a microcentrifuge before use; add only the supernatant to the experiment. This step will help eliminate any protein aggregates that may have formed during storage, thereby reducing nonspecific background staining. Because staining protocols vary with application, the appropriate dilution of antibody should be determined empirically. 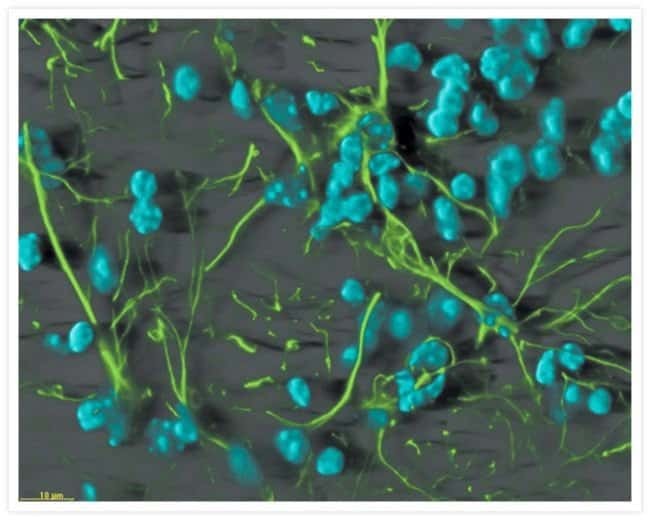 For the fluorophore-labeled antibodies a final concentration of 1-10 μg/mL should be satisfactory for most immunohistochemistry and flow cytometry applications. 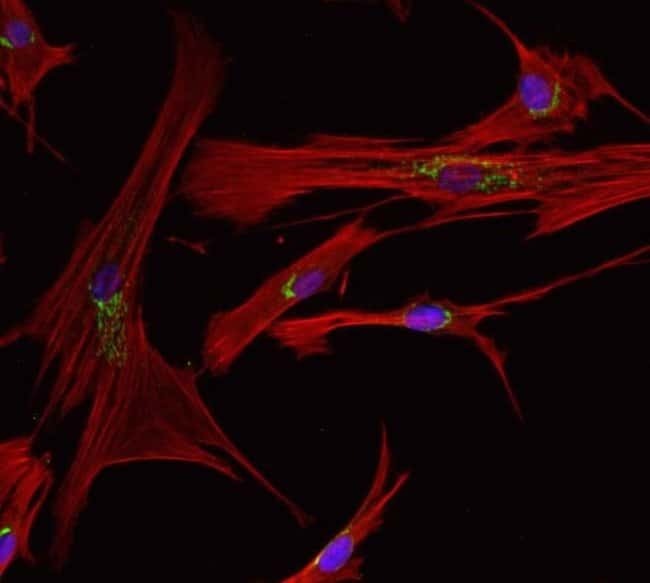 We offer an extensive line of Invitrogen™ secondary antibody conjugates with well-characterized specificity and labeled with a wide selection of premium fluorescent dyes, including Invitrogen™ Alexa Fluor™ fluorescent dyes. 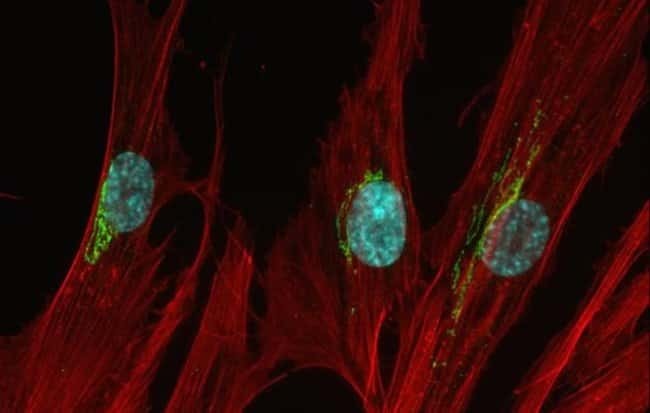 Fluorescent secondary antibody conjugates are useful in the detection, sorting, or purification of its specified target and ideal for fluorescence microscopy and confocal laser scanning microscopy, flow cytometry, and fluorescent western detection. 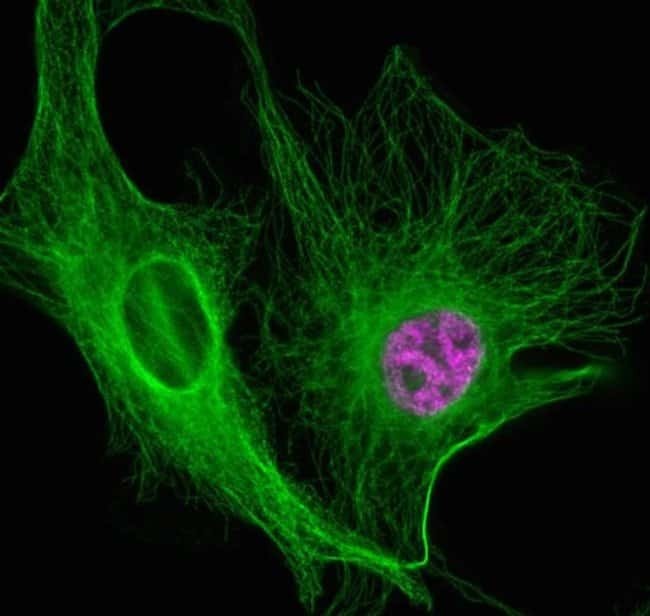 The breadth of fluorescent markers we offer allows our reagents to be tailored to almost any fluorescent detection system. Secondary antibodies may be provided in three formats: whole IgG, divalent F(ab′)2 fragments, and monovalent Fab fragments. Because of the high degree of conservation in the structure of many immunoglobulin domains, most class-specific secondary antibodies must be affinity-purified and cross-adsorbed to achieve minimal cross-reaction with other immunoglobulins. 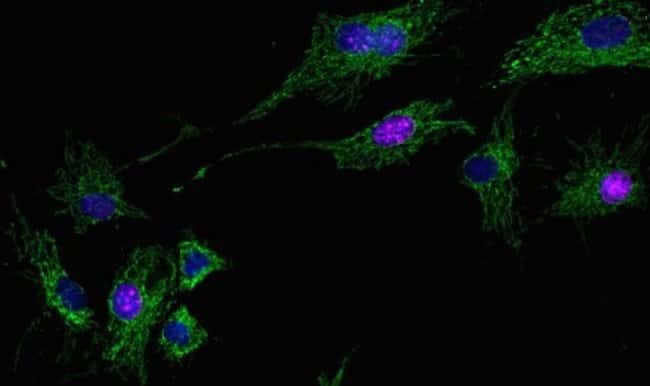 Our secondary antibody conjugates are most commonly prepared by immunizing the host animal with a pooled population of immunoglobulins from the target species and can be further purified and modified (e.g., immunoaffinity chromatography, antibody fragmentation, label conjugation, etc.) to generate highly specific reagents. In the first round of purification, whole immunoglobulins binding to the immunizing antibody are recovered and mainly consist of the &bsim;150-kDa IgG class. Further purification, for example, with Protein A or G, removes all unwanted immunoglobulin classes except the affinity-purified antibodies that react with the target-specific immunoglobulin heavy and/or light chains.